A $50.00 deposit is required to confirm your reservation. Deposit is refundable until 30 days before the class. We will start by sharpening a veneer saw which is key to fine veneer work. 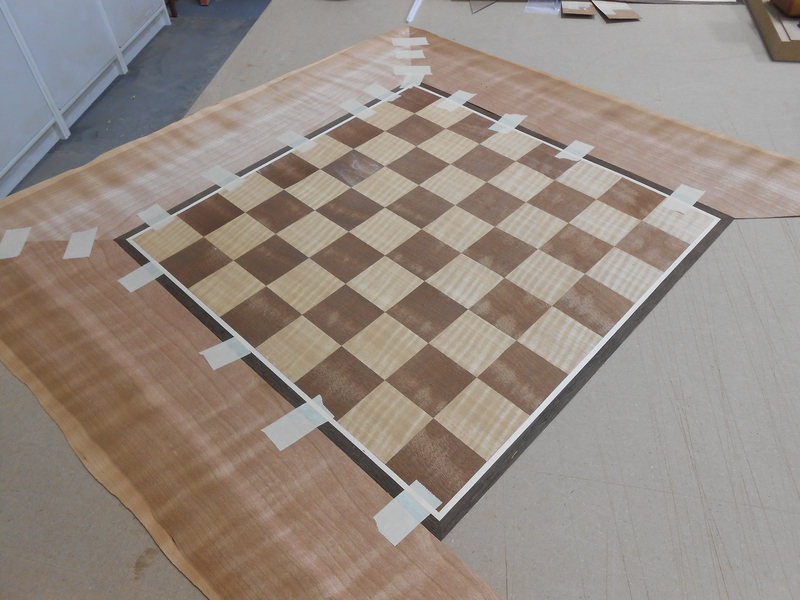 After practicing some cutting and taping we will make a chess board with inlay banding and border. This class prepares you for our two other veneering classes, Basic Veneering: Radial Match and Vacuum Pressing.